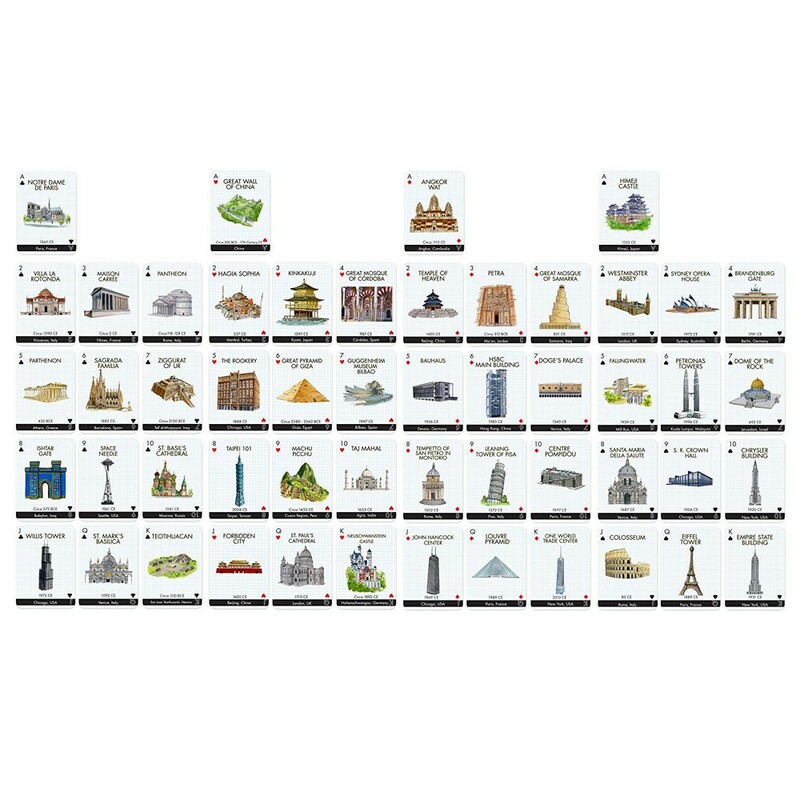 Get to know many world famous landmarks with this oversized deck of playing cards from T.S. 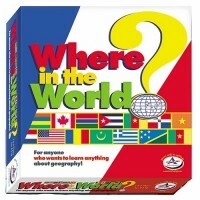 Shure! 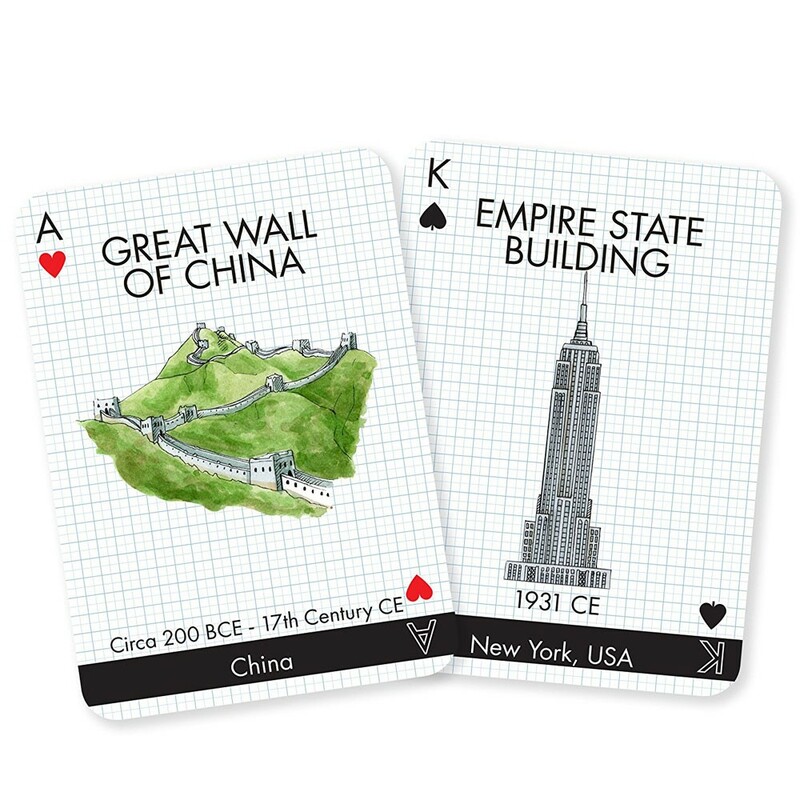 Get to know a lot of famous world landmarks with this innovative deck of playing cards from T.S. 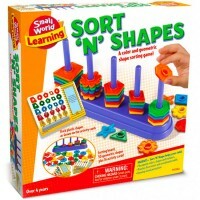 Shure! Kids will play their favorite card games with gigantic cards featuring important architectural gems around the world. 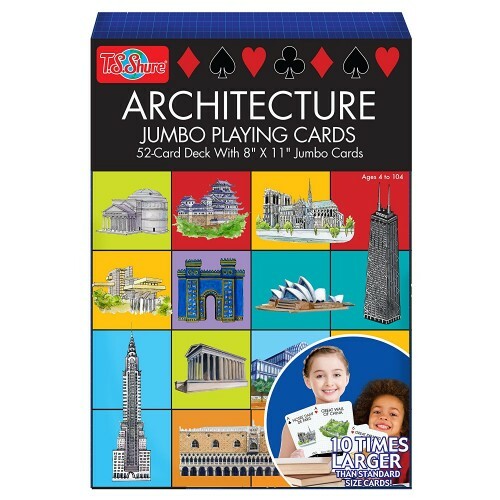 Architecture 52 Giant Playing Cards Set is a great learning game for kids of all ages. 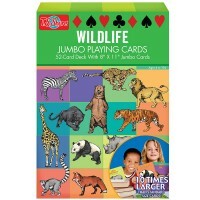 This card set comes with 52 jumbo sized cards presenting 4 regular suit types: spades, hearts, diamonds and clubs. 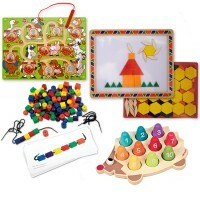 Each giant playing card shows a famous building, the year it was built, its name and country the landmark is located, plus card nomination (2-10, jack, queen, king, ace), and type. 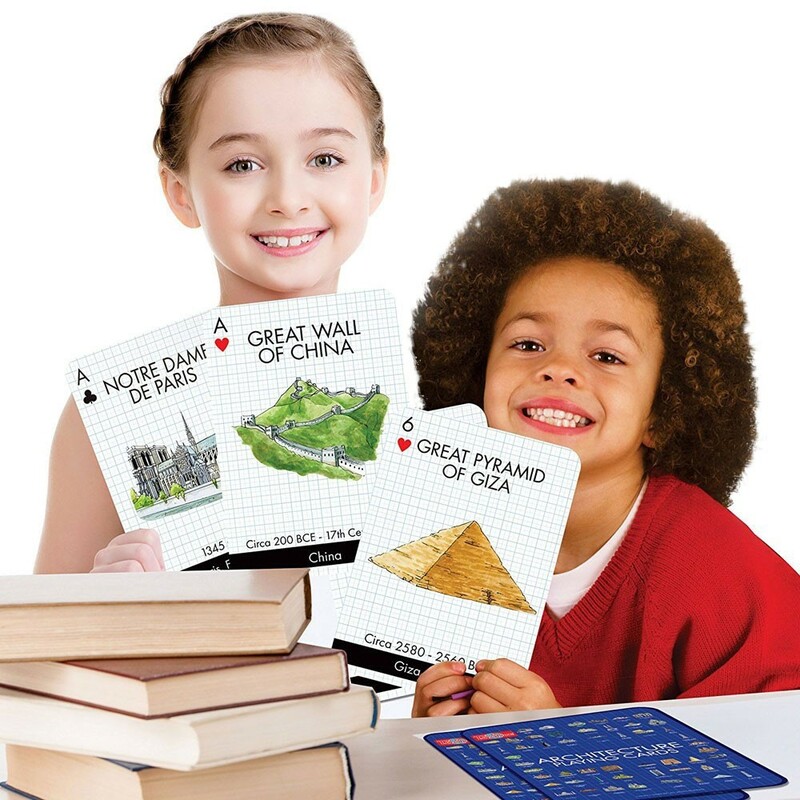 With these educational playing cards children will be introduced to the Eiffel Tower, Empire State Building, Willis Tower, Leaning Tower of Pisa, Centre Pompidou, Taj Mahal, Machu Picchu, Great Wall of China, and many more landmarks that they will remember for life! 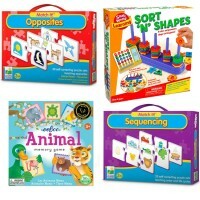 These jumbo playing cards from Educational Toys Planet are also the perfect way to start playing the classic game of cards with kids. 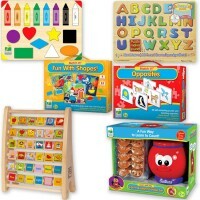 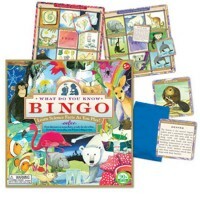 Have hours of endless fun integrating fun images into the classic game of cards for more learning excitement! 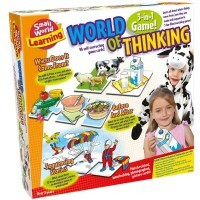 Fun for kids and adults to engage in a family game night with kids of all different ages. 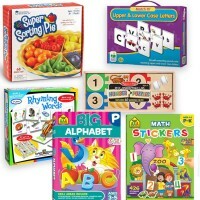 Dimensions of package 1" x 8.5" x 12"
Write your own review of Architecture 52 Giant Playing Cards Set.